This morning I heard a news pundit on CNN commenting on the horrible attacks on police in Dallas and the police shooting of a driver in Minnesota during which he referred to the “African American/Hispanic” community. He said it as if they are one and the same. This got me thinking. They are not the same. We are a nation divided by numerous cultures. And these cultures are increasingly at each other’s throats. News of yesterday’s shooting of police in Dallas, Texas left me feeling pretty numb this morning as I prepared for a work day. Five brave men were killed and seven others were shot apparently by a 25 year old black man who claimed to be acting alone because he was upset at white people. Before being killed by police trying to apprehend him, he said he wanted to kill white people, especially cops. This young man lived in a Dallas suburb and had served six years in the Army Reserves. Sadly there is little doubt he was influenced by the hateful, and ignorant comments made in recent years by many including our President, the Democratic Presidential nominee and the organization Black Lives Matter. They’ve all given voice to the myth that there is a systematic (as Obama has said) or systemic (as Clinton has said) racist problem among America’s police forces. My unique persepctive: I’m a 50+ year old white man. Thirty-two years ago I met and later married a black woman. We were married 28 years and lived together over 30. I have three kids, 2 are adults, all of whom identify as black. After my divorce I was fortunate to meet and get into a relationship with a beautiful Mexican woman who came to the U.S. at age 13 and became a legal citizen in her 20s. For most of the past year we’ve seen each other 5-6 days per week. The black community in the very liberal Seattle area where I live is distinct and separate from the white community and certainly from the Hispanic community. Generally speaking they live lives much different, with much different views, different interests, different celebrities, and different heroes than the nearly all-white suburban Seattle community in which I grew up. It’s no different in the Hispanic community. Though my Mexican-American girlfriend was smart and professionally accomplished and had lived in both Seattle and San Diego, California for her entire adult life her knowledge of most pop or celebrity or sports personalities, events or history that I and many others take for granted was close to zero. And the same was true of many of her Hispanic friends from work and church. Hispanic people, at least in the Seattle-Tacoma area, associate with and live amongst themselves having little interaction with whites, or black either. I’m confident were I to embed myself as thoroughly in the Asian or Gay communities I would be writing the same thing about them. These different and diverse communities are not talking to one another. At best they’re talking at each other. At worst, they’re yelling at each other. The Black Lives Matter movement was established on a lie that continues to be perpetrated and continues to harden the hearts of African-Americans across the country. If you’re black and you’re raised to believe that police are racist and that they WILL shoot you; of course you’re going to defend yourself and shoot back, or fight, or resist arrest. The same is true of Hispanics. Black Lives Matter, Barrack Obama, Hillary Clinton and much of the news media nationwide fed the beast that said Michael Brown of Ferguson, Missouri was an innocent and sweet little teenager who was gunned down by a cop for no good reason while Brown had his hands raised, essentially giving himself up. It’s a myth, but a widely believed myth. Here are the facts: Little to no evidence exists that Brown had his hands raised and was humbly subjugating himself to a police officer. Witnesses who initially made such claims, recanted them when interviewed by police. There is clear evidence that Brown robbed a convenience store just prior to his confrontation with police. He assaulted the store clerk. He assaulted the police officer and tried to take his gun. And upon withdrawing from an initial scuffle charged the police officer before being shot. And Michael Brown was 6-foot 5-inches tall and weighed 289 pounds. Not a little guy. 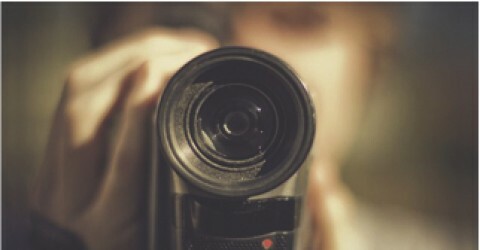 While not to the same extent these myths or exaggerations have also been forwarded in numerous other police shootings and in the Travon Martin case. It’s a narrative that has infected the black community, the separate and at times isolated black community. It’s also permeated the Hispanic community. How many people think Republican Presidential candidate Donald Trump hates Mexicans because he called them all rapists and drug dealers? He never said that. NEVER. But you believe he did because its been so reported on social media and even some mainstream media. What Trump said was a reference to illegal immigrants NOT all Mexicans or Hispanics. And he didn’t say all of them were rapists and drug dealers. He actually and accurately said, “Many of them are nice people” in the sort-of off the cuff manner that has endeared him with many and caused rancor with his opponents (It should be pointed out that these opponents wouldn’t support Trump if he had a halo above his head and angel’s wings on his back). While the United States remains approximately 63% white that number has been decreasing for decades and is not likely to reverse course. Nor is it likely to reverse course that these divided communities will come together when we continue to elect leaders who repeatedly and strategically divide us with their rhetoric and activities. I love the differences in the people and communities in which I have been in indoctrinated. And I love that I have almost always been eagerly welcomed in those communities. But when you’re the only white guy or gringo in the room, as has been my case many, many, many times over the past 30+ years you notice. And so do they. What has always worked for me is to be curious and interested in the people with whom I’m around. And when difference come up I’m not afraid to talk about them. I think its helped me many times over the years. We’re all Americans. We’re not “us” and “them”. Having separate racial, or cultural communities is fine. But lets not act like one is better than the other…as the whites, the black, the hispanics and I suppose others have done too often in recent years. Cops are NOT trying to kill black people. Those bad ones who make mistakes should justly be punished. But treat each case individually and please, please, please reject the demigods who claim systemic or systematic racism that simply doesn’t exist. Read the meaning of the words if you don’t know what it means…Hillary. In the infamous words of another bad guy who was portrayed as a victim, “Can’t we all just get along”? Your thoughts are welcome. Thanks for visiting. TR? Newt Gingrich? See the comparisons? He’s loud and opinionated. He’s obnoxiously confident. He’s always the smartest guy in the room. He’s brimming with ideas; most of them good and some of them clunkers. He’s ambitious. He’s opposed by his own Republican party’s so-called “insiders”. AND he wants to be President. Newt Gingrich, right? Well…sure…but the same was being said of Theodore Roosevelt in 1900. 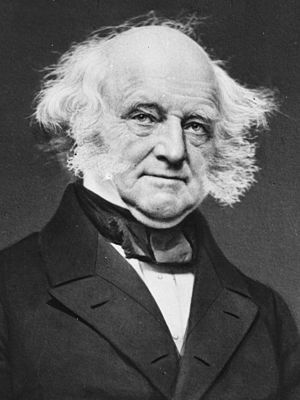 Martin Van Buren in 1836 had ever served as Vice President and then been elected President. Four others became President upon the Presidents death. So the odds were good that Roosevelt would never be heard from again. Like Gingrich, Roosevelt was always the smartest man in the room. He was the youngest to ever hold the Presidency. And his clashes with his own party eventually led him to form the Bull Moose party in 1912 and run as a third-party candidate against the incumbent Republican William Howard Taft. One can assume Gingrich is not planning such a split. In fact his positive and complimentary approach to ALL his GOP rivals has had me thinking from the start that he’s trying to position himself for a VP nomination if his out of step and out of funds Presidential bid flounders. TR’s personal life escapes this comparison, for he was a devoted husband and father. 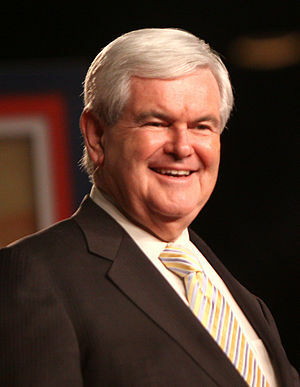 As we’ll undoubtedly hear more about in coming months Gingrich was not a good husband to his first two wives. He had affairs with his second and third wives before divorcing the preceding wife. But all those heavily invested in the political process know these stories. But they don’t seem to matter to most. 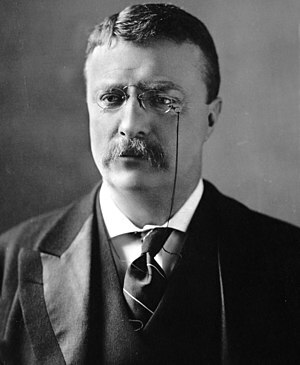 Roosevelt ascended to the top post like two others before him when the President was assassinated in September 1901. 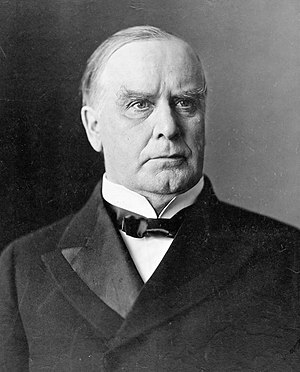 When he left office in March 1909 he was still a young and vigorous man. He had dominated the Congress and the World during his tenure truly transforming this country. Child Labor laws, National Parks, building a huge robust Navy that he sent around the world, Anti-Trust laws…and more. There are only four faces on Mount Rushmore; and he’s one of them. Gingrich may not be Roosevelt. But he may be. He may be the transformational figure this country needed at the start of the 20th Century and needs again at the start of the 21st Century. Having a brilliant history based intellectual like Gingrich in the White House who also happens to be tough and unconcerned with kissing the butts of all those GOP Washington insiders can ONLY be good. Racism and Obama. For better or worse? I wrote those words three years ago in a blog called “The New President” in which I made what I thought was an obvious statement that our nation could no longer be looked upon by its toughest inner critics as a racist nation. In the article I wrote that no predominantly white nation in world history had ever elected a person of color as their head, their president, their leader. In writing that blog the day after Barrack Obama‘s election to the most powerful office in the world I was complimentary and optimistic. Pointing out, perhaps naively, that Obama would be judged as were the 43 white men who preceded him in the office; by his accomplishments and not by the color of his skin. It seems I may have been wrong. I’m beginning to think it’s entirely possible that Obama could be the ignition to a worsening of race relations in this country. How bad could it get? Let me put it this way: I’m fearful. I am fearful that Obama’s defeat in 11 months will be blamed on racism rather than on his failed leadership, and policies. Yesterday a friend with whom I have profound political disagreements posted an article onto Facebook that she referred to as “the truth”. The article was called “Racism and President Obama”. In the first sentence the author, who calls themselves Jueseppi B., alleges that the United States became the model for a racist nation the day Obama was sworn in. Though I provide a link to the article in this blog I don’t recommend reading it. It’s nothing but an idiotic racist rant. By someone in love with government hand outs and jobs all around, apparently for all his African-American friends. Unfortunately his view is increasingly common. It’s a common tactic by the political black community to scream racism every time something goes wrong for one of their own. It’s silly and lacks imagination and intelligence to presume that a nation is a model of racism when it’s population is made up of 12.6% blacks and that same nation has a black leader. Racism still does exist in this country and its repugnant. Sadly these imbeciles who harbor such hateful views far too often reside on the right or conservative side of the political spectrum. And far too often Americans with better hearts and minds fail to loudly condemn the bigotry that is quite often directed at our President. And the problem with these facts is that you give aid and comfort to the black racists who paint all white people with the same broad brush. This used to be a racist country. And in fairness to those who still look for it, institutional, government sanctioned racism existed during the lifetimes of most African-Americans or their parents. Thank God, and some very strong people, it does not any more. But speaking as a white person with no racism or love of Obama I am fed up with racism being thrown out as a reason for opposing our President, or for opposing the type of governmentprograms that create an entitlement mentality and diminish personal fortitude and commitment. It’s and old song that needs to change. What is sad is that, like the boy who cried wolf, every time racism is falsely cited as the cause for a black persons failure white Americans are hardened against such claims in the future including the legitimate ones. And that’s wrong. 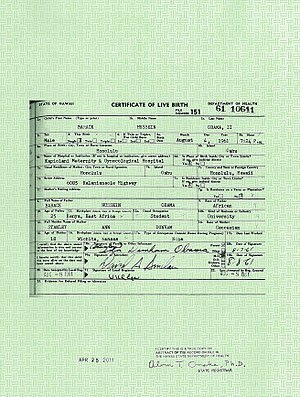 ALL Americans should have soundly condemned the “Birther” movement against Obama and the subtle racism that was not-so-hidden in the claims that the President wasn’t born here. 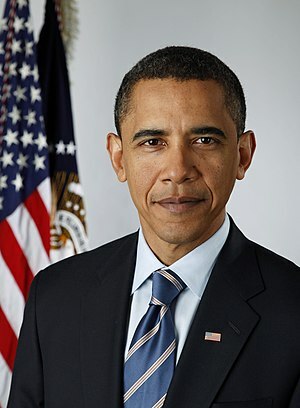 ALL Americans should condemn the Photoshop images of Obama made to look like some tribal medicine man. Avoid posting them on social media or waving them at demonstrations. If you can’t see the racism in such images YOU really are a bigot or an insensitive jerk. Lastly accept that jerks like I just described DO exist and probably always will. Just like the racist Pastor Jeremiah Wright, there are always extremes on every side of an issue. But quit calling our nation and by implication all Conservative white people racist. It doesn’t help your cause. As usual John Stossel blows up conventional theory. In his blog he points out that a ban on cell phone use in cars won’t help save lives. The National Transportation Safety Board’s call to ban cell phone use while driving is more nanny state nonsense that will do little to make us safer. Caution: Government Makes Everything Worse – Stossels Take Blog – Fox Business. Palestinian IS a made up people AND conflict. Lost in the uproar over GOP Presidential candidate Newt Gingrich‘s claim that Palestinians are a made-up people is the fact that he’s absolutely right. I’ll go further and state that not only are the Palestinians a made-up people but their plight is a largely made up problem. There has never, ever been a Palestinian Kingdom, Royalty, or Government; except for that which currently “governs” the Palestinian territories around Jerusalem and Gaza. I’ll bet my mortgage that most Americans are completely oblivious to the true story behind the “Palestinians”. A League of Nations mandate required the establishment of a new, separate, Palestinian nationality for the inhabitants of the Ottoman territories East of Jerusalem in 1917. 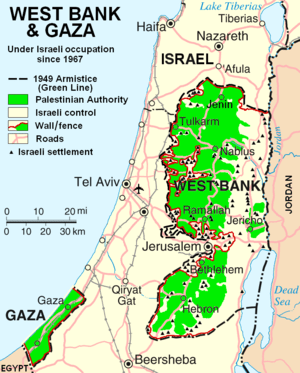 Upon the creation of Israel and the subsequent Arab-Israeli War of 1948 a “Palestinian Exodus” occurred. What’s important to note is that it was a voluntary exodus for the country that had been established, Israel. Neighboring countries Jordan, Lebanon, Saudi Arabia, Syria, and Egypt then and now have most of the world’s Palestinians, these people without a nation. Palestinians actually make up more than half of Jordan’s population of over 3-million people. But most significant in their plight is despite being Arab, Arab speaking, and Muslim like the indigenous populations of these neighboring countries none of their host nations have welcomed the Palestinians. 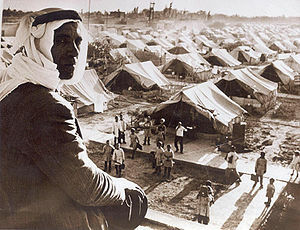 More than 60 years since the Exodus these Palestinians and their descendants live in tents and are not allowed citizenship in their host countries. They are not allowed to own land, vote, or in any way live as their brethren. You have to ask yourselves, why? What would happen if these Arab countries granted full citizenship and rights to a people who have lived in their lands for over 60 years? Well…the problem would go away…wouldn’t it? And then Arab’s would be forced to find some other reason to hate Jews and Israel. I find Gingrich’s strong and truthful statements about Palestinians refreshing. Gingrich hasn’t said he doesn’t want peace in the Middle East. On the contrary, he has just been particularly strong in condemning the rain of rockets that continually fall on Israel. Were it happening daily in the United States, say…along the Mexican border, would you be any less “strong” in your condemnation of it? We’ve tried placating them for over 30 years. Perhaps telling the truth and calling them what they actually are will lead us to what everyone wants. Peace. Categories: National Politics . Tags: Arab, Arab people, Israel, League of Nations mandate, Middle East, National Politics, Newt Gingrich, Palestinian people, Peace in the middle east, Presidential race, Saudi Arabia . Author: Michael Schuett . Comments: Comments Off on Palestinian IS a made up people AND conflict. Liberal San Francisco continues to amaze with its out of touch politics. A full time minimum wage worker now pockets over $20k per year. The unemployment rate for the city by the bay is 1/2 a percentage point above the national average. This also contributes to S.F. being one of the most expensive cities in the world to live. According to the U.S. Census the home ownership rate in San francisco is a low 59.1%; while most major cities across the U.S. boasted rates in the upper 60% to upper 70% range. MSNBC does it’s best to report the progressive point of view in this story, but at least they quote one business owner. You can imagine how they feel. Bottom Line – Happy New Year. SF minimum wage heads to $10. Did they die for more government or more Liberty? 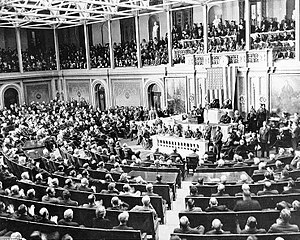 Franklin Roosevelt address a joint session of Congress, December 8, 1941. 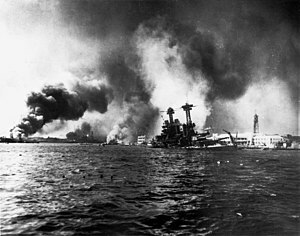 Japanese attack on Pearl Harbor 70 years ago today. U.S. Navy base at Pearl Harbor, Hawaii that left over 2300 dead; nearly half of which were entombed on the battleship U.S.S. Arizona. 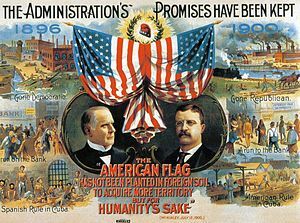 President Theodore Roosevelt made his famous “New Nationalism” speech. The speech was in August 1910, more than 101 years ago; and it was nearly 50 miles away in Kansas City, Kansas. Nonetheless the current day White House nearly pulled a hamstring stretching to connect the two speeches. In his speech Obama again made the call for more government and more regulation of business. He referred to the need to level the playing field for the great middle class of Americans. And he tried to make the connection with TR and the turn of the 20th century when he said: “At the turn of the last century, when a nation of farmers was transitioning to become the world’s industrial giant, we had to decide: Would we settle for a country where most of the new railroads and factories were being controlled by a few giant monopolies that kept prices high and wages low?” The statement is patently false. The tycoon industrialists of the late 1800s and early 1900s made their money by providing products at low prices, thus serving the masses instead of catering to the rich. Same as today. became at one time the richest man on earth by building Standard oil into not only an oil production business, but into an oil refining and distribution business. As written in the Wikipedia biography of Rockefeller Standard Oil replaced the old distribution system with its own vertical system. It supplied kerosene by tank cars that brought the fuel to local markets and tank wagons then delivered to retail customers, thus bypassing the existing network of wholesale jobbers. He made the price of gasoline low so that more people could buy it. And in so doing he saved the whales. Prior to Rockefeller’s success whale oil was the primary means by which people burned oil. The whaling industry couldn’t compete and very quickly died. 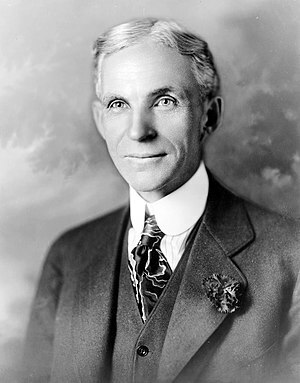 Henry Ford paid his workers sufficient wages to be able to buy his product. didn’t become fabulously wealthy by making the most expensive car on the market. Just the opposite. He created the assembly line; a much faster and more financially efficient way to build an automobile. Thus we had the Model T a car that was affordable to the average worker. And Ford famously said his success was predicated on building a product that his employees could afford to buy. 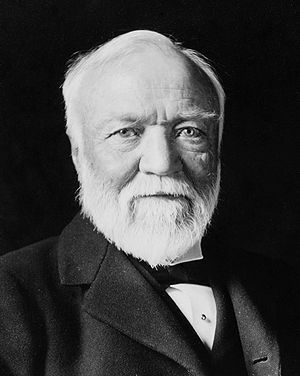 Andrew Carnegie, J.P. Morgan and others all had riches and power. But those riches and power were bestowed upon them by the American people buying their products because they made there products affordably. How is that different from today’s tycoons? Bill Gates built computer software that was easy and compatible with multiple hardware manufacturers thus bringing the personal computer to a size and affordability of most Americans and business. Steve Jobs also built computers; but his greatest success began with his company’s invention of the Ipod; an easier and more affordable way to buy and listen to music. In doing so he turned the music industry upside down and changed it forever. Mark Zuckerberg is the CEO of Facebook. Did he achieve his billionaire status by “keeping prices high”? Absolutely not. He took the idea of a social “facebook” (small f), distributed it more widely and made it FREE to everyone. Obama said yesterday about Republicans: “And their philosophy is simple: We are better off when everybody is left to fend for themselves and play by their own rules.” If only it were true. The fact is GOP politicians are nearly as guilty as Democrats in forcing government intrusion onto the lives of increasingly more Americans. The President went on to say we’re all better off when “we’re together than when we’re on our own”. On this we agree. But who made him Community Organizer in chief for my life? Who says government needs to force us together in order to benefit the most people. Rockefeller, Ford, Jobs, Gates, Zuckerberg and countless others have repeatedly demonstrated that the philosophy of 18th economist Adam Smith was right. Smith is the author of the seminal economic book “The Wealth of Nations” which correctly pointed out that the less government interferes with a free-market system the more people will prosper. Smith pointed out that when left on their own people had a selfish interest in serving people, community, the masses. Failing to do so meant a failure of a business. Doesn’t that make sense? Obama’s repeated stated resistance to leave us to our own devices demonstrates a clear lack of faith in the Capitalist system and in the moral fiber of Americans. As we remember the brave souls who lost their lives 70 years ago today its incumbent upon us to ask ourselves why they died and why so many other Americans have fought and died in the name of our country through the past 2 1/4 centuries. Did they die in defense of a bigger Government controlling more and more of our lives; helping us along as Obama would want me to say. Or…did they die for our own individual liberty? Isn’t it obvious? And to properly honor their memory don’t we owe it to them and our own ancestors to struggle and succeed. For one always precedes the other. Thanks for visiting. Your comments are welcome.